On this New Year’s morning, Jupiter and Spica appear in the southern sky. Jupiter is about 4.5 degrees above Spica this morning. 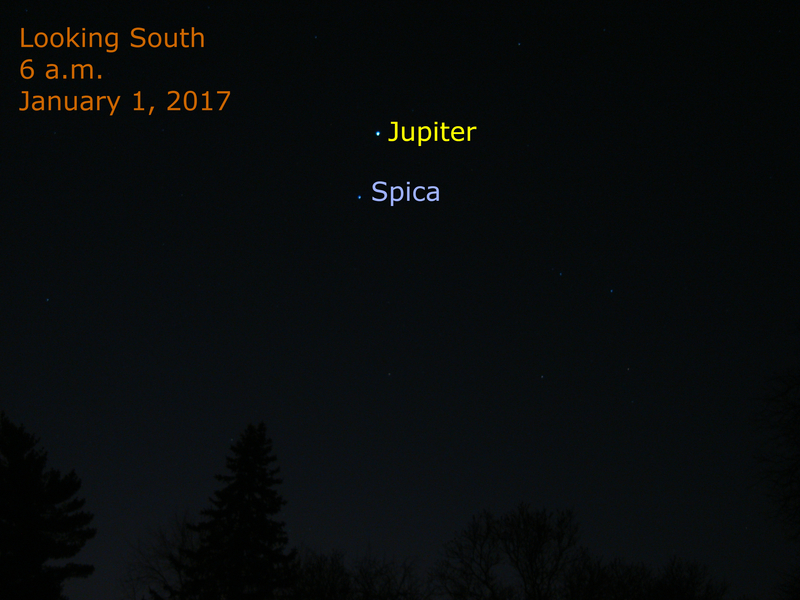 Jupiter passes 3.5 degrees from Spica on January 20 for their first conjunction of Jupiter’s current appearance.